On Tuesday evening February 6, 2018 Farr Law Firm’s president, David A. Holmes, will be leading a discussion on asset protection with second and third year law students in Professor Morrissey’s “Documents of the Deal” class at Stetson University College of Law. Mr. Holmes will touch on various legal strategies and techniques to minimize the exposure of clients’ assets to creditors. He will highlight his career path and give students insight into his other areas of practice. A native of Port Charlotte, Holmes holds his Juris Doctor degree, with honors, from Stetson University College of Law in 1993 and a Bachelor of Arts degree from the University of Florida. 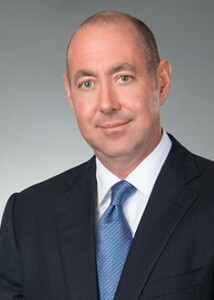 Holmes has served as the firm’s president since 2009. He practices law in the areas of asset protection, civil litigation, commercial and construction disputes, corporate and business law and real estate. He is certified as a circuit court mediator by the Florida Supreme Court.